Question: What is the difference between speech and language? Answer: Speech is the actual sound that is produced from our mouths or a communication device. It can be a word, phrase, sentence or conversation. Language is the thought behind our speech. It is how words are put together to express an idea or thought. Question: What is the difference between receptive and expressive language? Answer: Receptive language is the ability to understand the spoken or written language. Expressive language is the ability to formulate sentences in a cohesive manner to express thoughts. Question: My child's speech is very difficult to understand. How long will it take to correct it? Answer: It is difficult to say how long it will take to correct the problem without knowing what the problem is. However, most children and adults start showing progress within the first month. Numerous things can impact a person's progress including severity and type of the problem, motivation, family support, and frequency of treatment. Question: What frequency of treatment is considered "good"? Answer: One to two times a week will usually show good results. Question: How can you treat swallowing problems? Answer: It depends on what is causing the swallowing difficulty. Generally, swallowing problems are a result of stroke or other neurological problems. Treatment often involves exercises for the affected muscles and utilization of strategies and maneuvers to improve speech efficiency and safety of swallowing. In children, more severe problems are seen in conditions like Cerebral Palsy, Down's Syndrome, etc. Treatment depends on the reason for the swallowing problem and it is usually a combination of exercises and activities to promote safe swallowing. Question: What are oral-motor problems? Answer: Children may develop oral-motor problems because of weakness in the oral muscles. This can be a result of constant open-mouth posture or thumb or tongue sucking. Treatment involves a combination of exercises and activities to improve strength and coordination of oral muscles. Question: Does insurance cover speech therapy? Answer: Check your insurance plan carefully. 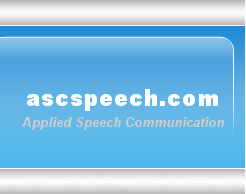 Many health plans cover speech therapy. However, benefits are determined by your plan and range from unlimited visits and no referral needed from your physician to a set number of visits per calendar year. Most plans base speech therapy on the need for medical necessity. Therefore, it is a good idea to get your physician also involved in it if you are seeking payment through insurance, and not planning to pay out of pocket. Question: What kind of tests will be administered to my child? Answer: It depends on the kind of problem they have. Usually, standardized tests are administered in combination with a detailed case history and clinical observation of the client. Family interviews may also be conducted, or family members may be asked to complete questionnaires. Different kinds of problems need different kinds of tests. Within tests for a particular problem, careful thought is given to individualize the testing procedure. For that purpose, informal testing and/or diagnostic evaluations when deemed appropriate is also done. Question: I do not have insurance. What can I do? Answer: Many clients are private pay. Each family decides what is affordable for them. A joint decision between the clinician and the family will assure that reasonable goals are set. Often, families help by doing some exercises at home to assure success. We offer discounted rates compared to most Speech Therapy clinics for 10-12 week sessions at a time based on financial need. Answer: You can call the clinic at (209) 544-1032. You may also mail forms & documents for us to review and contact you, or you may email us.